The Beginning of Something New. . .
Well hello y'all...long time, no see! But see, I have a good reason for taking my extended blog break-we are so excited to share our secret with y'all, finally! 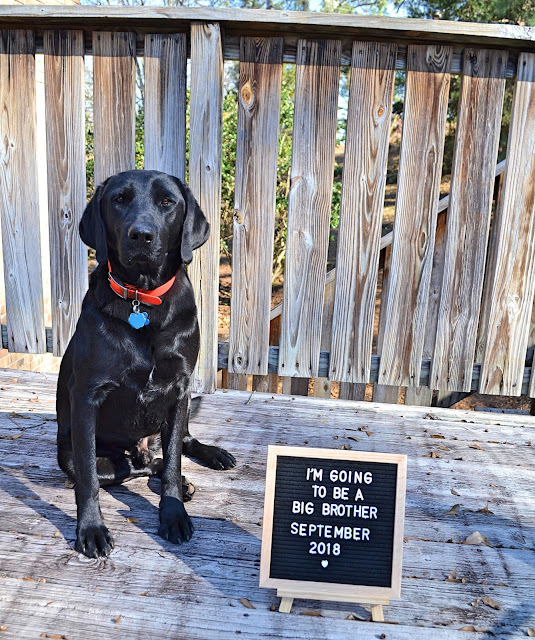 Forrest is going to be a big brother, because we're expecting our first baby in September! Yup, you read that right (and some of you might have guessed)-we're going to be parents at the end of this year & we couldn't be more excited about it! 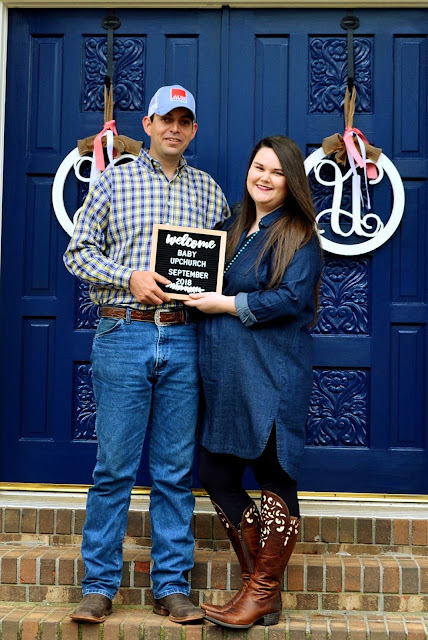 I'm not sure if most of my readers know the age difference between Christopher and I, but he's 7 years older than me (things you didn't know about Southern & Style!) so he's had to wait quite a bit for me to catch up to him, but he's done it with patience and grace-two things I adore about him. I wanted to make sure that I had plenty of time to finish college and enjoy our marriage and travel and do some things before we started our family, but now is that time. 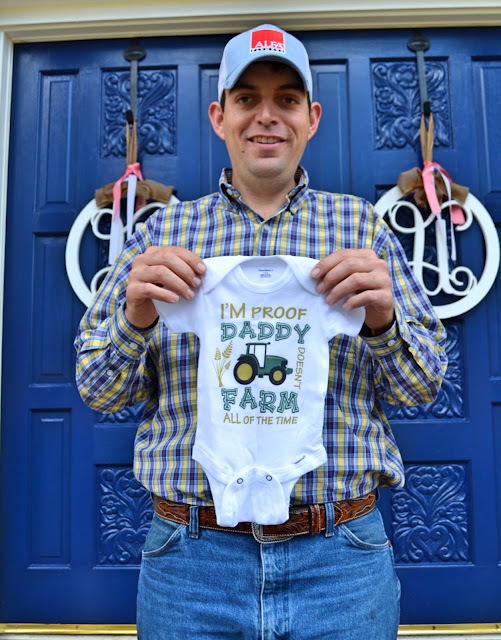 This onesie was Christopher's way to announce our pregnancy to our friends & family (we purchased it from Etsy!) and I thought it was too cute & too funny since he does spend most of his time on the farm! I can't wait to see how he's going to be with our babe, because he loves kids SO much & kids just adore him-it's going to be even sweeter because this one is going to be all ours. So let's get down to the nitty gritty really quick & talk about everything you're wanting to know. . .
We're due sometime at the beginning of September! Our doctor is giving us a "due month", but most likely somewhere between the 8th through the 11th. When we first found out, I felt great! Then, not so much. I've had a little morning sickness, but mostly just nauseous throughout the majority of the day. A lot of that has to do with acid reflux, which I'm going to chat about with my doctor at my appointment on Monday. I've also been feeling pretty tired, but I've been lucky to have been able to rest when I need to, so that has been a huge blessing to me. Will you find out the gender? We aren't going to do the blood test, but we will be finding out by sonogram either in March or April and having some type of gender reveal party for at least our family after that! What are your gender guesses? I go back and forth on this one. Both Chris & I would be thrilled either way with either gender, we don't care. However, Chris' family hasn't had a girl born in over 70 (yep, SEVENTY) years, so a major part of me thinks that we will have a boy and I'm content with that. But also, we could totally break that spell and have a cute little girl & I would be thrilled as well. So right now, I think boy but I don't prefer one over the other. 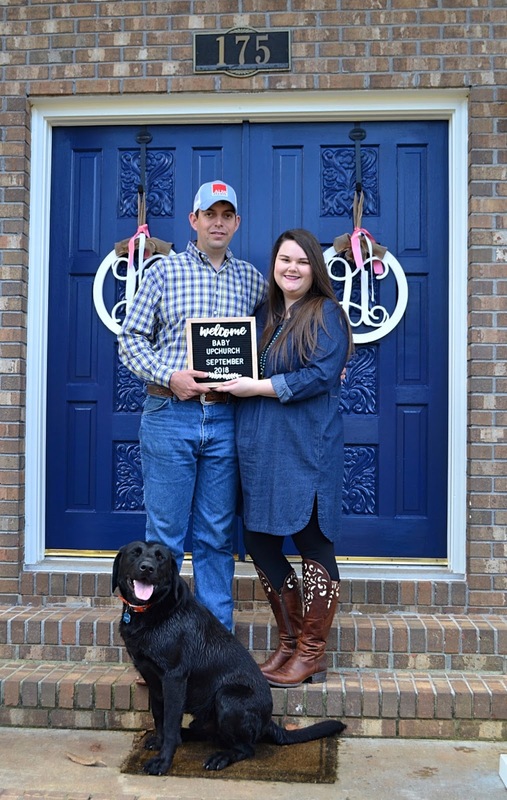 Will you share the name of the baby before it's born? While we are most definitely sharing the gender, I don't know if I'll share the baby's name on social media yet or not. Our family and friends will definitely know but I think it would be fun to share the name when we announce the birth of our little one! Thank you so much for sharing our joy and celebrating with us!